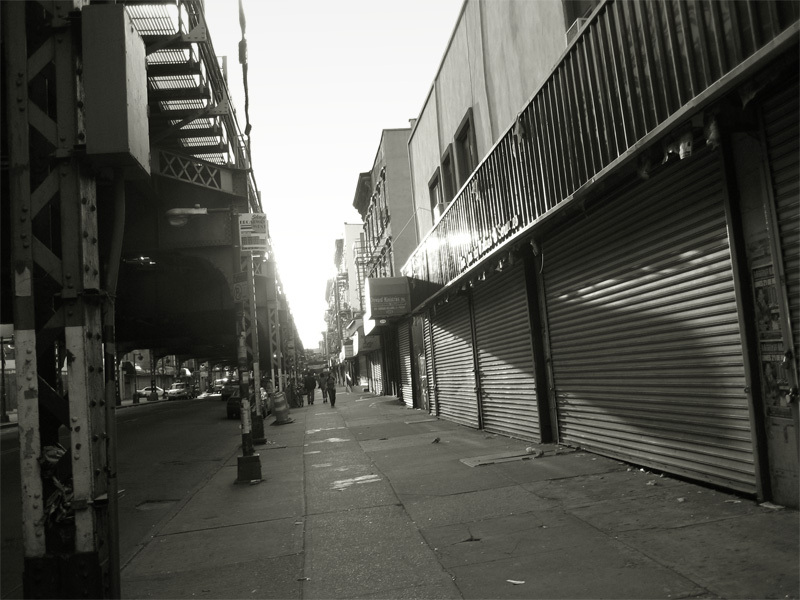 Seen above is the sun setting on Broadway in Williamsburg, Brooklyn near the entrance to the Hewes subway station. 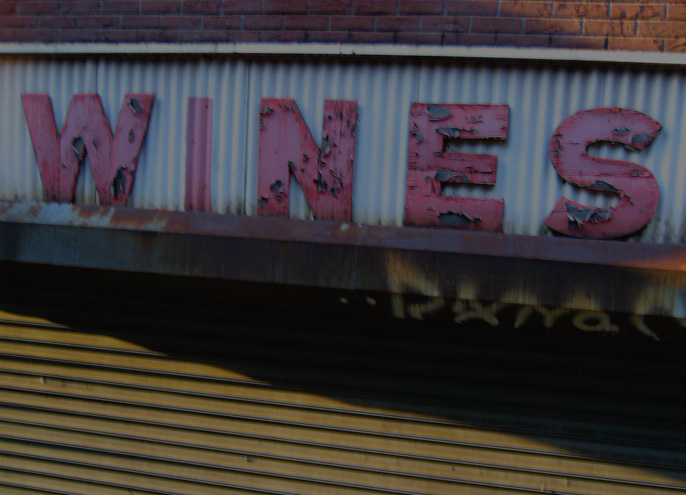 Seen above is a storefront sign on Broadway in Williamsburg, Brooklyn near the entrance to the Hewes subway station. I like how the "i" in the word wines is painted in place. I think it's only a matter of time until Broadway will bloom again as the real estate money moves east across Williamsburg. To see the each photo at full size just click on it. Photographs taken on May 20th, 2007. This page contains a single entry from the blog posted on June 23, 2007 11:01 AM. The previous post in this blog was Waiting on the J Line. The next post in this blog is The Love Bound Train .